William J. Bernstein‘s A Splendid Exchange: How Trade Shaped the World as the name implies is an engaging history of long-distance trade from the dawn of history. The book points out that jurisdictions and other actors throughout history have chosen among trading, raiding, and protection. By my reading, raiding in the form of piracy and literal trade war was a substantial part of the mix everywhere — and reached its pinnacle among and by the Portuguese, Spanish, Dutch, and English — until bulk goods with many sources came to dominate shipping in the 1800s. Spices that only grew in southwest Arabia or the flyspeck Spice Islands were the opposite — subject to piracy, monopolization, and taxation along narrow routes and chokepoints. I have temporarily increased my consumption of the now pedestrian seeming cinnamon, mace, nutmeg, and black pepper — only available to the very wealthy in well connected cities for most of history. Raiding in the form of conquering and plundering seems even more important and persistent, e.g. the scramble for Africa and WWII and its aftermath. Speaking of the scramble for Africa, this book points out many times the importance of disease in shaping history. As another book I read recently more forcefully pointed out, the scramble did not occur until the easy availability of anti-malarials — before the late 1800s, European death rates in tropical Africa were too high to sustain more than fortified trading posts. Bernstein even makes the fairly astounding claim that death rates were higher for European crew of slave ships than for the African slaves the ships transported. The civlilization-destroying blow to the New World dealt by Old World diseases (and resulting relatively unopposed European colonization of the New World) is well known, but Bernstein speculates that disease may have also given Europeans an advantage versus the Islamic world, India, and China as well. The evidence is scantier, but the Black Death may have hit those regions even harder than it hit Europe, rendering them relatively weak at the dawn of European world-wide raiding and trading. 700 years earlier ‘Act I’ of the Black Death sealed the long-term decline of the Byzantine Empire and created an opening for the explosion of Islam. The last few chapters are somewhat drier reading, perhaps mostly due to familiarity. Overall Bernstein makes the case that increased wealth and decreased transport costs have swamped any political changes in their impact on long-distance trade and that trade’s measurable impact on static well being is swamped by less tangible building of relationships and transfer of knowledge that accompanies trade, and that free traders imperil free trade to the extent they ignore those who lose from trade — paying off losers would be preferable to protecting them, for world-wide trade is net positive, and the alternative risks a spiral of trade wars leading to real wars. By the way, Bernstein doesn’t mention intellectual property at all, now a staple of trade negotiations, apart from a single passing mention of a trademark applied to Danish hog and dairy products. Why do you believe as you do? The proximate cause may be family or voluntary conversion, but what created the milieu in which your family or adopted god became one of a limited number of likely choices, as opposed to one of the thousands of religions that do or have existed and the infinite number conceivable? The proximate historical cause seems to be violence — religious war, forced conversion, torture, slaughter or enslavement of believers in a slightly different myth. I understand (from being told by several people who have done this, all in the U.S.) that adults who seek a religion or particular sect within a religion are as much choosing a congregation they like as a set of beliefs. What if all religions were true, for this world and whatever mystical worlds each religion posits? 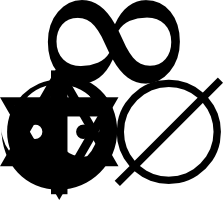 Suspend disbelief for a second — the multiverse is a crazy set of places, so let’s allow it an infinite multitude of contradictory realities, including self-contradictory realities. Which religion would it be rational to choose? Presumably community would be a minor consideration for a rationalist, for the implications of the choice would be far greater than choosing a set of people to hang out, do business, and breed with. Let’s evade all prohibitions on changing one’s religion by assuming one can choose to be born into the religion of one’s choice. Let’s also only consider religions that “exist” — a related fun game would be to design the best religion, assuming it would be true, but that’s a very different game. Many religions have vindictive gods and offer a high probability of eternal torture — choosing any of those over the null choice (atheism) seems irrational. Which existing religions exceed this seemingly low bar? Which exceed it by a lot? It would be hilarious if no existing religions beat atheism, even if they were true, but I doubt this is the case. 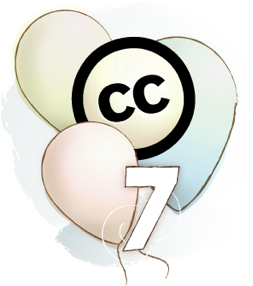 Creative Commons turned 7 yesterday. Tonight in San Francisco there is a celebratory salon, including short talks by Alexander Macgillivray (Twitter General Counsel, former Google Deputy General Counsel, and CC supporter from before CC was launched), Eric Steuer on the Into Infinity project and me on CC 2009 highlights and 2010 opportunities and challenges. One of those challenges is funding. Approximately US$1 million loss in funding over the last 18 months is attributable to the financial meltdown. Fortunately an unexpected major gift this year helped make up for half of this loss. Together with some streamlining and careful spending, CC is in an ok financial position, for now. However, our (reminder: I don’t speak for any organization on this blog, but “our” is the natural word to use here) annual public funding drive needs to close very strongly to meet its goal. Please help! Thanks, and for the few reading this immediately after posting and in San Francisco, hope to see you tonight!